Congratulations go to Paul Wellon, who has qualified as an IAM National Observer. Paul, a CCAM/IAM member, initially qualified as a Local Observer in November 2016, has now qualified as an IAM National Observer. This now brings the number of National Observers at CCAM to a total of nine. The CCAM Committee would like to say 'Thank You' to Paul for his dedication and contribution to the Club and Associate training for the IAM Advanced Test. 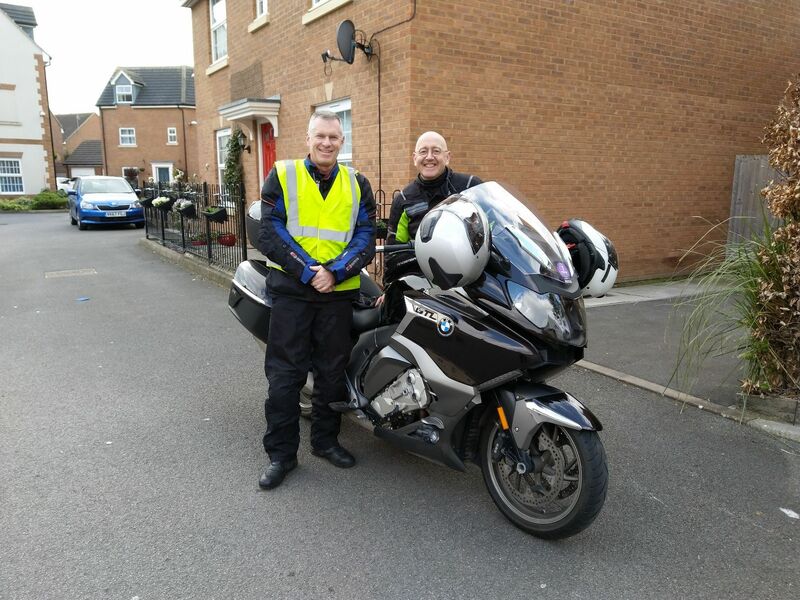 Note: Paul is also a volunteer member of Severn Freewheelers EVS (Blood Bikes). Two CCAM Observers each achieve a "F1rst"
In the past 2 months CCAM has had two of its Local Observers refresh their Advanced Test qualification and both have passed with a "F1rst". That just shows the high standard of Observer that we have at CCAM.Congratulations to both Joe Logan and Alex May. The committee wishes to extend its gratitude and appreciation for the time and effort contributed by all our CCAM Observers.